News Archives - Mama's Dirty Li'l Secret® - "If Prince were punk" : Mama's Dirty Li'l Secret® – "If Prince were punk"
Mama’s Dirty Li’l Secret® is Now a Trademark! Yes! 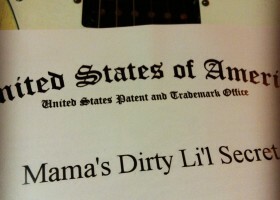 Mama’s Dirty Li’l Secret® is officially a trademark!